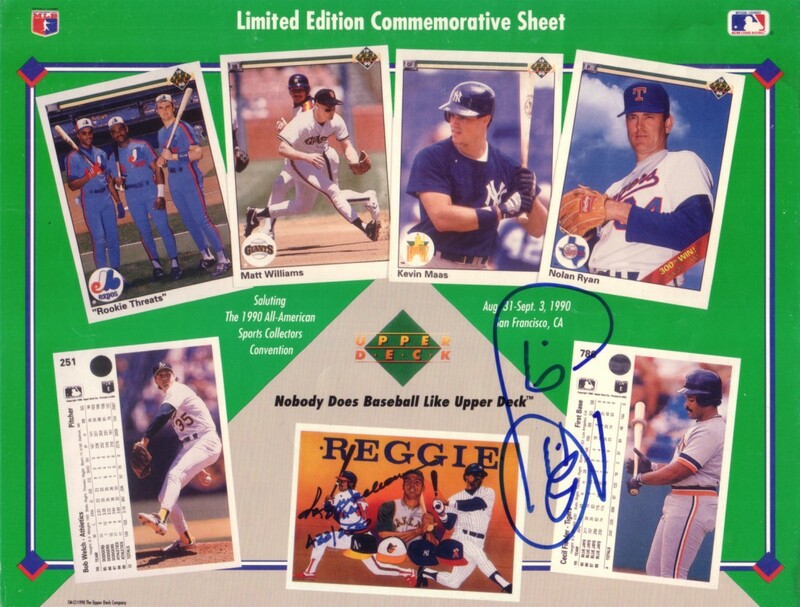 8 1/2 by 11 inch commemorative card sheet distributed by Upper Deck exclusively at the 1990 National Sports Collectors Convention, autographed in blue marker (sideways) by former Detroit Tigers slugger Cecil Fielder. NOTE: this sheet, Upper Deck's first, was printed on much thinner stock than their 1991 and later sheets. Has minor to moderate corner flaws and wear. Obtained in person. With certificate of authenticity from AutographsForSale.com. ONLY ONE AVAILABLE FOR SALE.